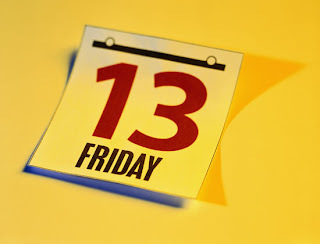 Last month came Friday, the 13th. Gosh its been almost a month since this post has been pending. My Mumbai life is too busy to find time for good activities like blogging. Anyways, so this is about a normal day in my Mumbai life when i went to the office and was returning home with a not-so-normal, rather severe back-ache. Almost after 75 mins of travel, when my local-train was about a few stations away from home, i started feeling very thirsty. But when i opened my bag, i realized that i had forgotten my water-bottle in the office. This had happened for the first time. But, since i wasnt too far from home i thought it wasnt too difficult to control my thirst for another 45 mins. Yes, 45 mins isn't a long travel-time in Mumbai. Little did i know that the back-ache and thirst were just the beginning. When i reached near home, i thought of first picking up the routine stuff like green-grocery, milk, etc. so that i wouldnt need to come downstairs again for all these trivial, yet important tasks. So i did that and thus, loaded with lots of stuff i climbed upstairs. While searching my bag for the house keys i realised that they were missing and probably for the first time i had forgotten my keys inside the house itself. So i called up Archana, who shares the house with me, only to find that my calls were unanswered. Thinking she might be in the train and wouldn't have realised her phone ring, i was kinda content that she might just be reaching too. Her office is only about 30 mins of travel from home and it was her usual time to return home as well. After a while, she returned my call to check why had i called her. And i was told that she had travelled another 45 mins away for a meeting. This too had to happen? Understanding that patience was the only thing that i had to bear now, i sat outside my building and decided to be calm. Then, immediately, i thought of calling up the owner of my rented-apartment to check if he could lend me his set of spare keys for the time being. I knew he stays about 15 mins away from my house. So, i called him up and he asked me to go to his place and collect the keys from his mother or wife or whoever is at home. He gave me his address and said he would call up home and instruct to hand me the keys. I hired an auto-rickshaw and told him the address. After going into a few wrong lanes, i finally reached the place in about 25 mins and asked the driver to wait while i quickly got back with the keys. Happy that i would finally get to quench my thirst and rest my back, i reached back home in another 15 mins. I opened my purse to pay Rs.70 to the driver only to realize that i had finished all my money in buying the routine stuff. But now, i had the keys so i requested the driver to hang around for a couple of mins while i just hopped upstairs and got him the money from the cash i kept inside my apartment. The driver, luckily, agreed without raising an eyebrow. Carrying all the stuff with the back-ache and thirst, when i tried to open the door, the keys wouldnt turn. After trying for a few mins i realised that probably i was given the wrong set of keys. I rushed to the general stores downstairs and asked the owner to lend me a 100 bucks to pay to the auto-rickshaw guy. And then, i sat outside my building waiting for Archana to return. I was back to square one despite trying everything i could and spending energy and money for nothing fruitful. After about 15 more mins, Archana finally returned and i then got to quench my thirst and rest my back. Little did i know that the kind of stories i used to cook up during school-life for writing essays such as "An adventurous day in my routine life" would turn out to be "A True Story"!! !